AMC’s Mad Men begins its much-anticipated fifth season on Sunday night, March 25, after a long and, for some of us, parched nearly two year hiatus. 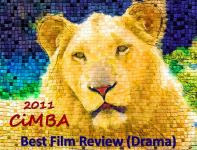 Click here to return to the Reel Life main page. Looking forward to this though I have not watched the show. I am just catching up now in the past two weeks with JUSTIFIED. Recently finished season one and now on season two. Unfortunately, I have not been recording season three which is on now. Good stuff! So glad you're having a month of Mad Men. I've been in withdrawal and I'm counting the days until it's return. Such a great show, fantastic cast. I'll be looking forward to everyone's contributions. Bring on the lunchtime martini's, and Lucky's. Can't wait. 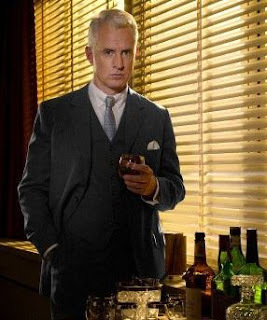 I'm a "Mad Men" fan myself, so I'm eagerly anticipating the new season and will enjoy reading your blog entries! I have to admit, I lost track of the show months ago. I even thought it had simply just gone away. Now I need to play catch-up online so that I'll be up to speed for the new and 5th season. Thanks for the info, Eve. If I write about it, I'll definitely contribute to your Mad Men event. Let me see how all the watching goes. I'mm still not very keen on watching TV on my computer. It's a dinosaur thing. Ha! 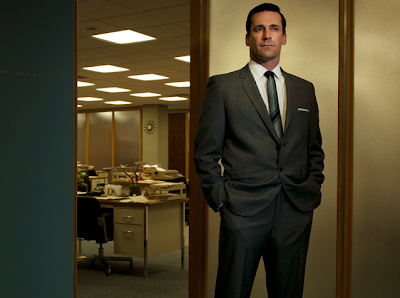 Eve, I never watched Mad Men, and feel like I should start with Season One to really get the whole flavor. I wonder if I can find it on Hulu? I don't have Netflix. Or maybe one of our few remaining Blockbuster stores. I'm going to try! Like most of you, I am beyond curious as to what Mr. Weiner has up his sleeve for Season 5...and I do think viewers (like you, Becky) who are new to "Mad Men" ought to start with Season One - too much missed, otherwise...Not sure if it's available on Hulu - I do know some of the series is on YouTube.